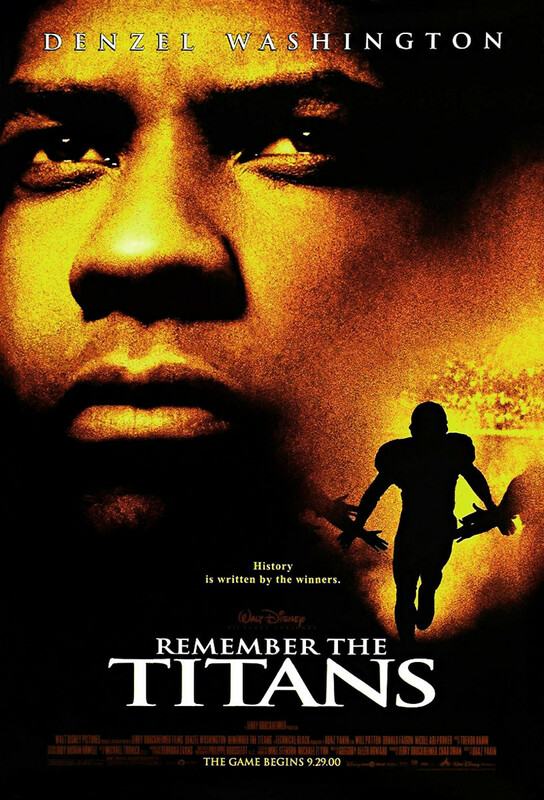 Remember the Titans is an entertaining movie about the integration of a high school for the first time and the challenges that go with it. The main plot of the movie centers on the football team. An African American coach played by Denzel Washington supplants the existing one played by Will Patton as per the school board. There are some initial reservations on both sides until a summer camp joins both black and white players together as one team with a single goal. Outsiders still don’t understand some of the camaraderie and this is evident throughout the movie. Once the team starts its winning streak, much of the tension is broken. The community for the most part backs the boys and the coaches even start to see eye to eye. Along the way, one of the defensive stalwarts is lost due to a car accident and the players must go on without him. It is not until the final game however against one of the best teams in the state that each coach relents a little and takes advice from the other.